Once your cancellation is effective videos over 30 days old will be deleted. After newer videos become older than 30 days they will also be deleted. Please make sure to download any videos you want to save prior to cancelling. We have an article explaining this here. Hover over your username in the top right corner and choose "Dashboard" from the drop down menu. 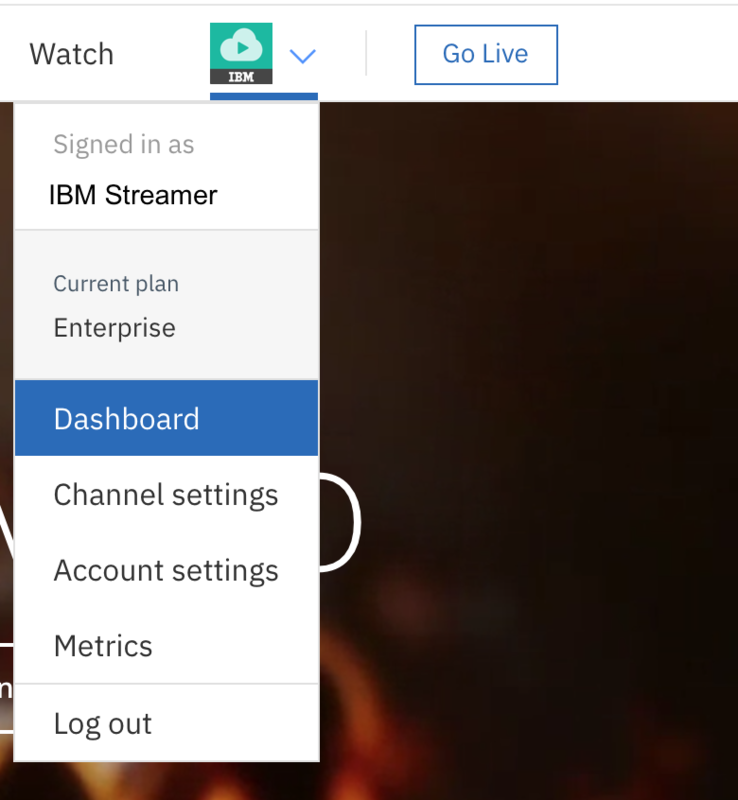 On your IBM Watson Media Dashboard, click "Account" and the Subscription menu. This is your subscription overview page. From here, you can see your current Viewer Hour count, review billing dates, and change your plan type, including cancelation. You can cancel from the link called "Cancel Subscription". After clicking this button, you will be asked if you are sure you want to cancel, and the reason you are canceling. 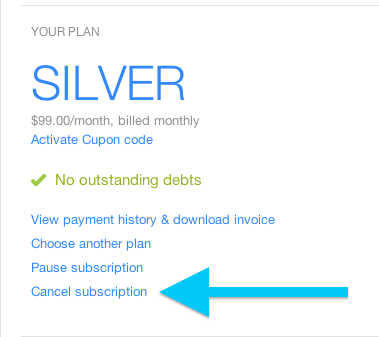 Once you complete this, your Subscription Overview page will now show a yellow banner explaining that you have a pending cancelation in place on this subscription. Once the current billing period that you have already paid for is complete, your account will be returned to a basic (free) status, instead of being billed again.